How do I get into Dungeons and Dragons-Part One - The Guild Hall Cluj - Board games anticafe. Cowork. Events. 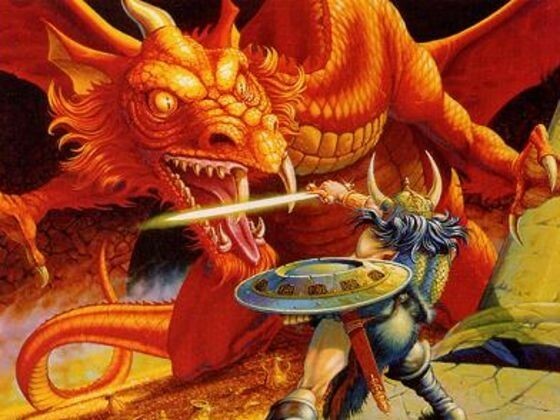 The popularity of the now legendary Dungeons and Dragons is on the rise. It gets referenced a lot in modern pop culture. Youtube is filled with sessions of professionals playing the game for thousands of fans, merchandise is everywhere and not to mention it looks top notch. Even celebrities have come out to admit they play it in their free time. So, it’s only normal that more and more people are interested in getting into this wonderful gaming experience. But oh boy… the situation of course is more complicated than anticipated, isn’t it? At a glance, there are hundreds of products and accessories and books and miniatures and … Ok, let’s slow down a little and see how to get you into D&D! Dungeons and Dragons is an RPG. A Role-Playing Game. In this type of games, the players will step into the shoes of imaginary characters as chosen by them and try to talk and act as them. It’s part improvisation, part theatre, part stand-up comedy. The real pleasure of playing such a game is trying to bring to life all the characters and places involved in the adventure. It’s a highly social activity and it generates a lot of fun. In contrast, a traditional board game will put a game board and some pieces in front of you and will ask for very little emotional participation or acting skills. Board games are more about strict rules and strategic play while an RPG is more about a story-driven experience and giving the players free reign and unlimited choices…but also repercussions. Gameplay is never limited to the game pieces or the maps in front of you. The other complication comes from the fact that RPGs will require one of the players to become a Dungeon Master. The DM is responsible for running the adventure and controlling the monsters as well as other characters found in the imaginary world. He decides what is possible and how rules are applied in game. But at the same time, there is a lot of preparation work in front of him before each game session. Additionally, he must think in a very creative way in order to respond to all the players and their unpredictable actions and needs. In short, not an easy position to be in. To summarize: Dungeons and Dragons is an RPG, a hobby, an experience and it’s not contained in a single box or product to be purchased as such. 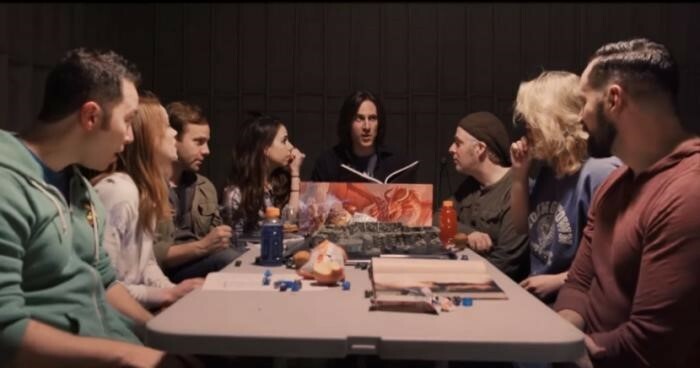 It demands that all participants (players and dungeon master) invest time and passion in every gaming session for a truly fantastic and memorable time. At first glance the entire endeavor seems a bit daunting. But don’t worry. We have put together a short guide on how to get into this. First of all, you need a small group of friends ready to start an adventure. You’ll also need one of them to become the Dungeon Master. He will run the adventure and be an arbiter in all situations. He is, let’s say, the Storyteller and as a group, you will shape the story and its outcome. Secondly, you need a pen, paper, and some dice. You can easily find sets of dice that contain all the different types you need for the game. The only one that is essential however is the D20 (a die with 20 faces). Lastly, you will need the free rules, that you can find on the game’s creators website, Wizards of the Coast. Beware that these rules are just a small preview of what you find in the books they sell. It’s enough to play a game and test the rules but you will want more. All right, this will end the part that requires the minimum amount of financial investment on your part. All in all, I would say this is enough for you to try out the game and see if this is the game for you. Then you can decide if you are ready to invest more time and money on this hobby. Part two of this series will take you through some official products you will want to buy if you decide to go deeper into the rabbit hole.